Being fair to farmers is at the core of our business. For two decades, we have been active at coffee origin, building relationships with coffee farmers and cooperatives to improve the lives of coffee farmers, increase coffee quality standards, and to help implement sustainable farming practices at coffee origin. Since 2001 we have been supporting coffee producers and their communities with funds. We call it our Fair to Farmer Fund. Though this fund has gone through many iterations over the years, the principle has remained the same. We put 5 cents from every pound of coffee we produce towards projects at coffee origin. Our commitment to farmers goes beyond buying coffee. In 2010, Offsetters, our supplier of quality carbon offsets kicked-off a lifecycle project to determine the carbon footprint of a Salt Spring coffee. They found that a surprising 39% of the coffee’s carbon footprint in the lifecycle is generated by the consumer during coffee preparation. We are committed to organic agriculture. Our coffee is certified organic by PACS. We choose organic to protect the planet, the health of the coffee farmers, their communities and our customers. We have been a Certified B Corp since 2010; this means focusing on the impact we have on our workforce, our suppliers, our community and our planet. We renew our certification every two years. Interested in seeing what it takes to become a B Corp? Take this free online assessment by BDC, compare how you stack up against other businesses and get a customized improvement plan for your business to use. We have been fair trade certified since 1998. 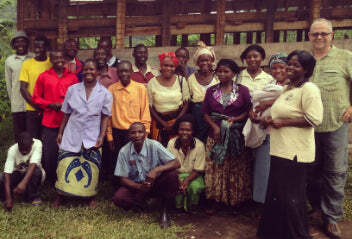 This shows our ongoing commitment to fair trade practices and the work we do with farmers and small scale cooperatives. Since 2012 we have been certified by Fair for Life, a certification body that ensures that human rights are guaranteed at every stage of sustainable production, that workers enjoy good and equitable working conditions, and that smallholder farmers receive a fair share. We donate 1% of our annual sales to non profits that protect the planet. Specifically we support organic farming, locally and at coffee origin. Q: Are your bags recyclable? A: Yes! But only in BC for now. Recycle BC has launched a pilot program to begin recycling other flexible plastic packaging, which includes coffee bags—finally! Over the years we’ve experimented with a number upcycling projects, and are always on the lookout for creative ways to use our high barrier coffee bags. We’re always on the hunt for suitable, sustainable coffee packaging. If you have suggestions, get in touch! Why is sourcing sustainable coffee packaging tricky? Oxygen speeds up coffee degradation, so it’s important to properly store coffee beans once they are freshly roasted. We and countless other roasters use high barrier bags to package coffee that currently cannot be recycled. High barrier bags include a valve that lets off-gas nitrogen out and keeps oxygen from getting in. The coffee bean is the seed of a fruit – and, as is the case with fruit – it can spoil quickly unless it’s preserved and stored properly. We’ve continued to research cellulose-based bags that biodegrade after use. This technology is becoming more widely available and we are optimistic that this might be an area where we find a viable solution. Our testing has shown that the product does not break down effectively unless it’s put through an intensive industrial composting process. And in many municipalities industrial composting is not easy to access, or even available. Our team keeps close tabs on developments in the field of sustainable packaging with the intent to adopt suitable, sustainable coffee packaging as soon as packaging technology improves and it’s commercially available.